Next month, NASA’s TESS telescope will be sent into space to look for unknown exoplanets and observe the nearest stars. Jørgen Christensen-Dalsgaard from SAC heads part of the mission. 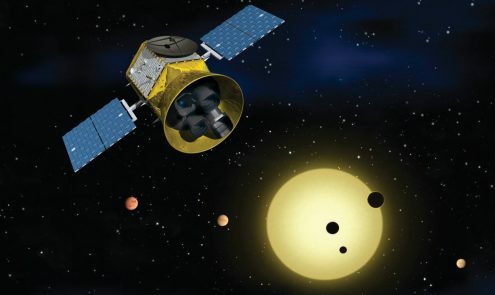 In about a month, NASA’s newest planet hunter, TESS (Transiting Exoplanet Survey Satellite), will be launched from Cape Canaveral Air Force Station in Florida. 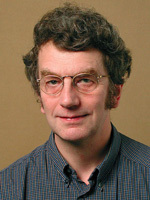 Head of center Jørgen Christensen-Dalsgaard, from the Stellar Astrophysics Center (SAC) at Aarhus University, will be in charge of the part of the TESS mission that will study the so- called “stellar oscillations,” which are small vibrations or fluctuations in stars’ luminosity and in the movements of their surface. The fluctuations can be compared to the vibrations from an earthquake, and the observations of the movements can contribute to determining the age, weight, and components of the stars. TESS’s telescopes can make it possible to undertake new observations of the stars with increased precision, and the measurements can detect the existence of new planet systems far away from our solar system. ”It is an extremely exciting mission. We are going to observe the brightest stars that are near our solar system. We expect to find a lot of new planets around the stars,” Professor Christensen-Dalsgaard explained to Videnskab.dk. Seismology is the study of earthquakes, and astero-seismology studies the stellar oscillations. “We were invited by NASA to participate in TESS because we have great expertise in astero-seismology. In July, we are actually having a big international conference in Aarhus, which will mark the beginning of the project,” Christensen-Dalsgaard said. The Technical University of Denmark (DTU) has also taken part in the mission. Christensen-Dalsgaard expects the first results from the TESS mission to be available during the summer of 2018.